Woot offers the Das Keyboard 4C Compact Mechanical Keyboard with Brown Switches for $79.99 +$5 flat rate shipping with Amazon fulfillment. For comparison, it has a list price of $114 which is what it goes for at Amazon. We’ve seen it as low as $90 prior to today’s deal. Rated 4/5 stars by over 110 Amazon customers. The same Das Keyboard quality you demand with a new compact tenkeyless design. The tactile feel, psycho-acoustic experience and oh-so-sleek design deliver a euphoric typing experience. 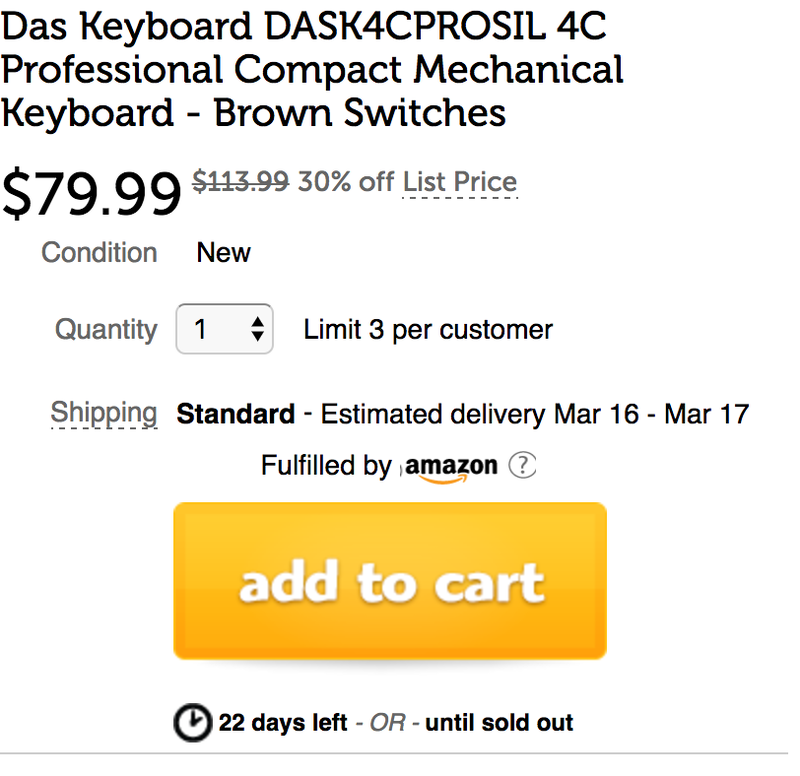 Das Keyboard 4C Professional Compact is one of a kind. Not only is the click clack sheer music to your ears, but you’ll also have one incredible machine that delivers a faster, more enjoyable typing experience. It’s made of the highest-quality materials and has a robust construction you can feel. All of our keyboards are designed with high-performance, gold-plated mechanical key switches lasting up to 60 million keystrokes.